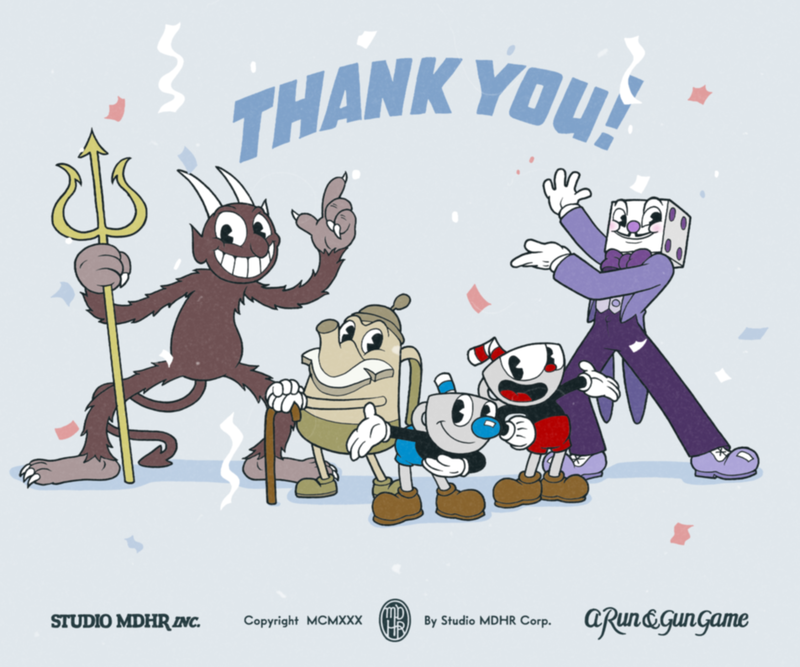 Studio MDHR celebrates selling over 1 million units of Cuphead. Only two weeks have passed since Cuphead was released on Xbox One and PC. During the last two weeks, the game has raked in ample praise from game critics and players, despite its brutal difficulty. Today, Studio MDHR posted an exciting announcement on their blog... Cuphead has officially gone platinum after selling over 1 million units! “Hello friends! Cuphead has only been out for two weeks and we never could have dreamed of the reception we’ve received from our amazing fans! Today, we wanted to take a moment to thank each and every one of you for your support and we’re excited to share that Cuphead has gone platinum with over 1 million units sold! We at Indie Obscura wish to congratulate Studio MDHR for their successful release of Cuphead, and the game’s subsequent platinum status. Do you own Cuphead? If so, what do you think of the game? Let us know down in the comments below! For a little Cuphead help, be sure to check out our guides on how to setup local co-op in Cuphead, where to find all hidden coins in Cuphead, and how to unlock all endings in Cuphead.